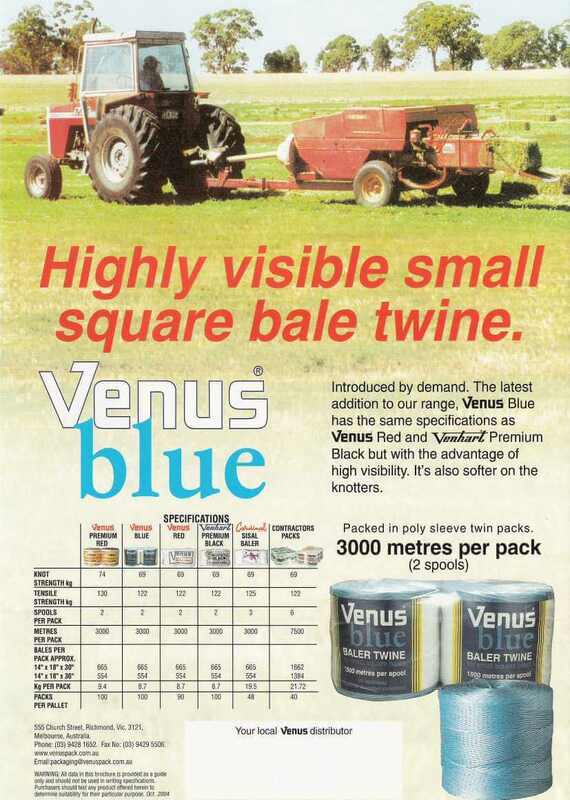 Our Small Square Bale Twines are UV stabilised polypropylene or sisal twines for small square bales of all sizes and weights. 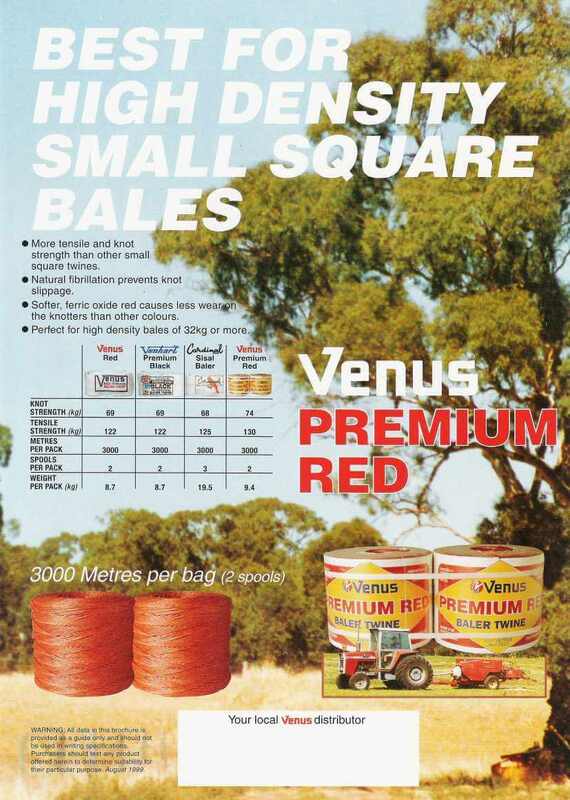 Venus Red is our original small square twine. 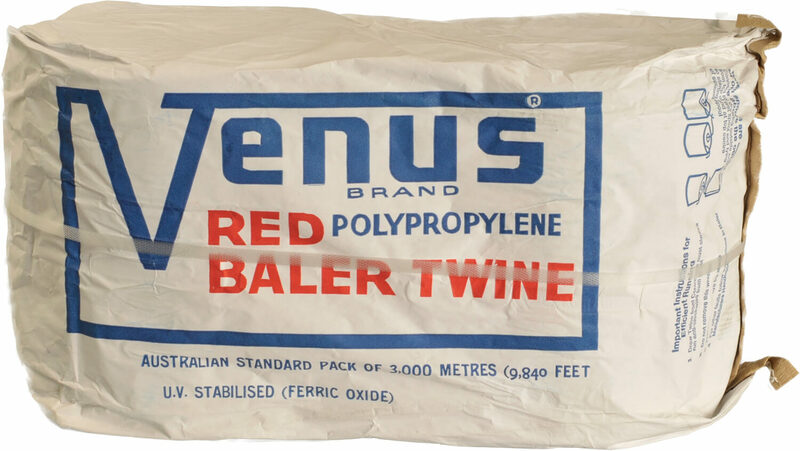 Our original small square twine, but in a longer 6 ball pack. 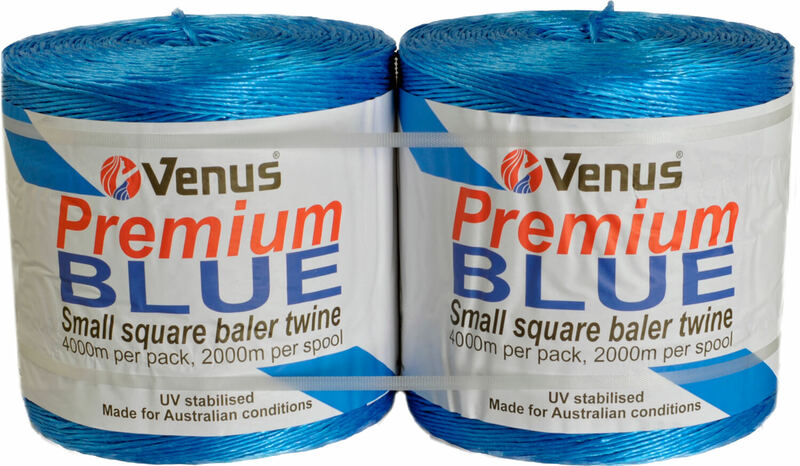 The carbon black additive in this conventional twine, provides the best protection against UV degradation. 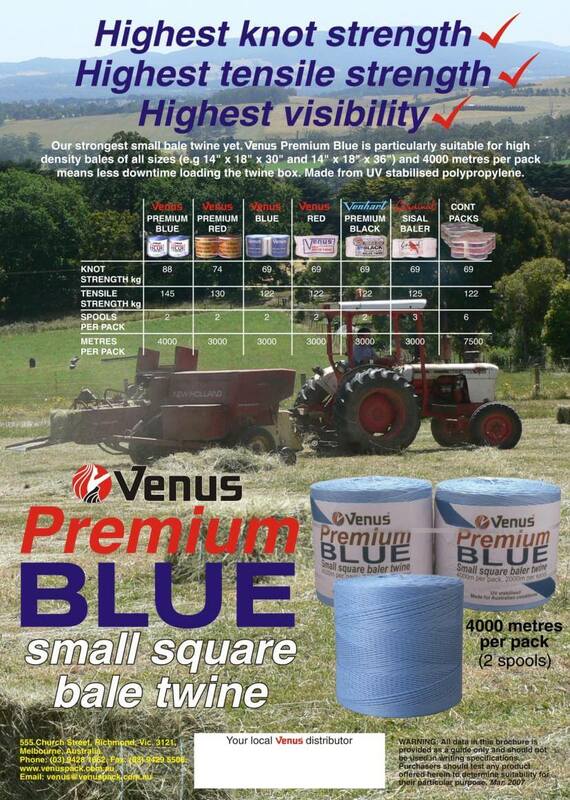 Venus Premium Blue with 88kg knot strength, suits higher density small square bales. 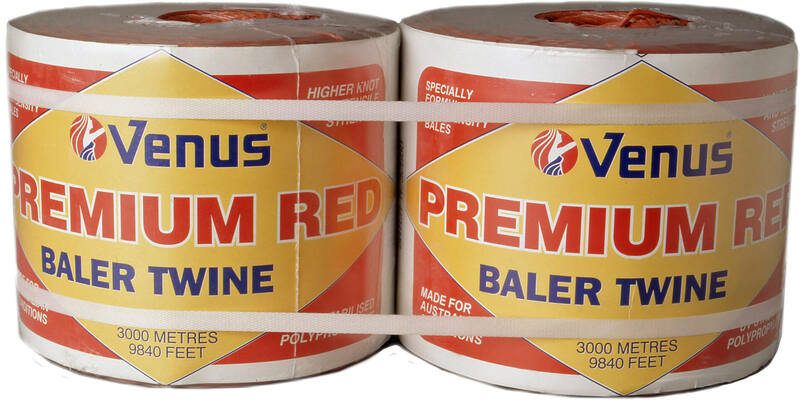 Venus Premium Red is particularly suitable for medium density bales, and crops with low moisture content. 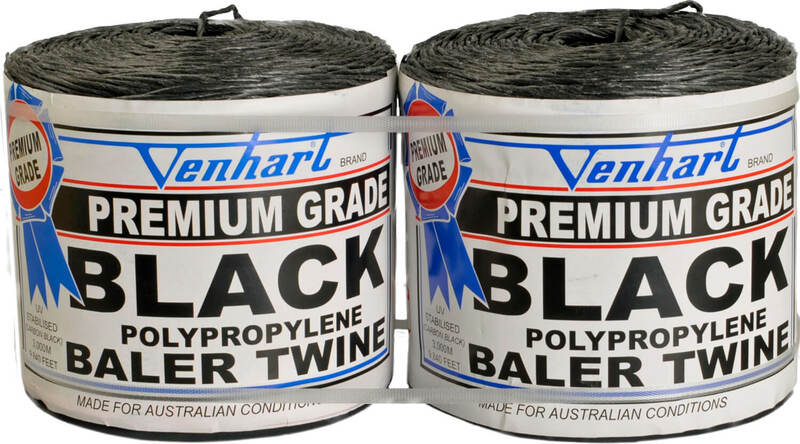 The carbon black additive in this conventional twine, provides Venhart Premium Black with the best protection against UV degradation. 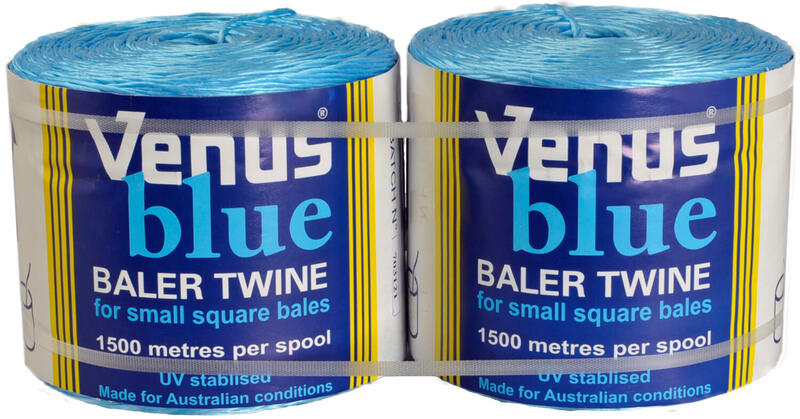 Venus Blue is a conventional twine that is soft on the knotters. 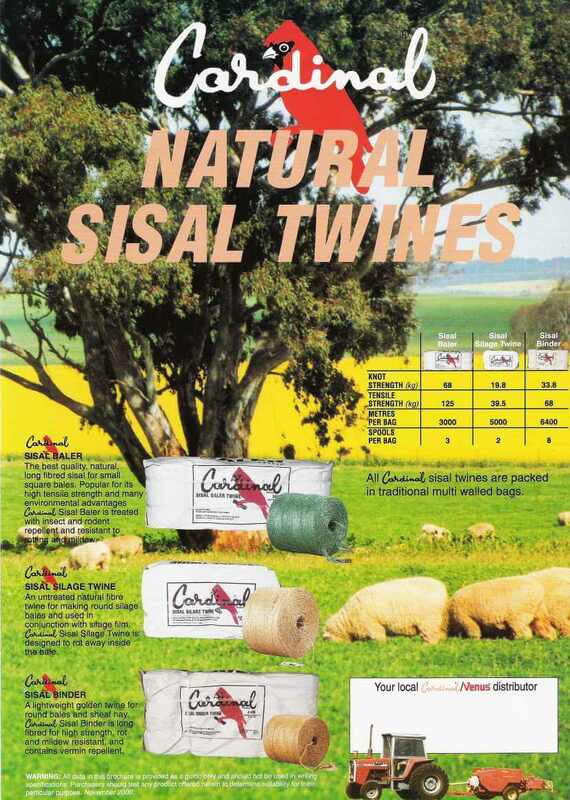 Cardinal Sisal Baler Twine is a natural long-fibred sisal twine for conventional small bales.